Technofast Industries Pty Ltd has introduced AgNut, a hydraulically operated bolt tensioning device, to survive the harsh conditions on the disc ploughs. The AgNut can be quickly and easily fitted and used with standard pumping equipment. 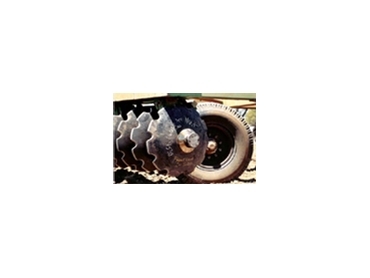 The AgNut can be modified to fit various sizes and makes of disc ploughs. The advantages of the AgNut include: improves safety on job, gives reliable and precise tensioning preventing damage to shafts on disc ploughs, dust cap protects the components of the AgNut when used on disc ploughs, user friendly – fast to fit and remove, requires little physical effort, is ideal for difficult or confined spaces and improves the life of the bearings, seals, discs and all other components of the disc ploughs.